Philippe Avila discusses the rare survival of a Japanese Nanban frame, and the lacquering and inlaying techniques involved in its manufacture. By the end of the 15th century, technological advancements in both ship-building and cartography made longer and safer ocean voyages possible. Burgeoning European states saw the opportunity to open new trading routes connecting with Asia, in the hope of enriching their various economies and gaining international prestige. In 1498 the Portuguese tried sailing south, around the coast of Africa, and eventually arrived in India. There they established outposts in Gujarat, Goa, and Kochi, from where they were able to reach China and open a further outpost in Macau. A few years earlier, in 1492, the Spanish had tried to sail west, but they encountered a whole new continent that they did not expect. It was not until 1573 that Spain was able to reach Asia, and concentrate its trading enterprise in Manila. Spaniards could then sail east from the Philippines to Acapulco (on the Pacific coast of Mexico), transfer their precious shipments by land to Veracruz (on Mexico’s Atlantic coast) and re-embark it for Spain, thus fortuitously connecting America with this newly discovered Euro-Asian trade route. 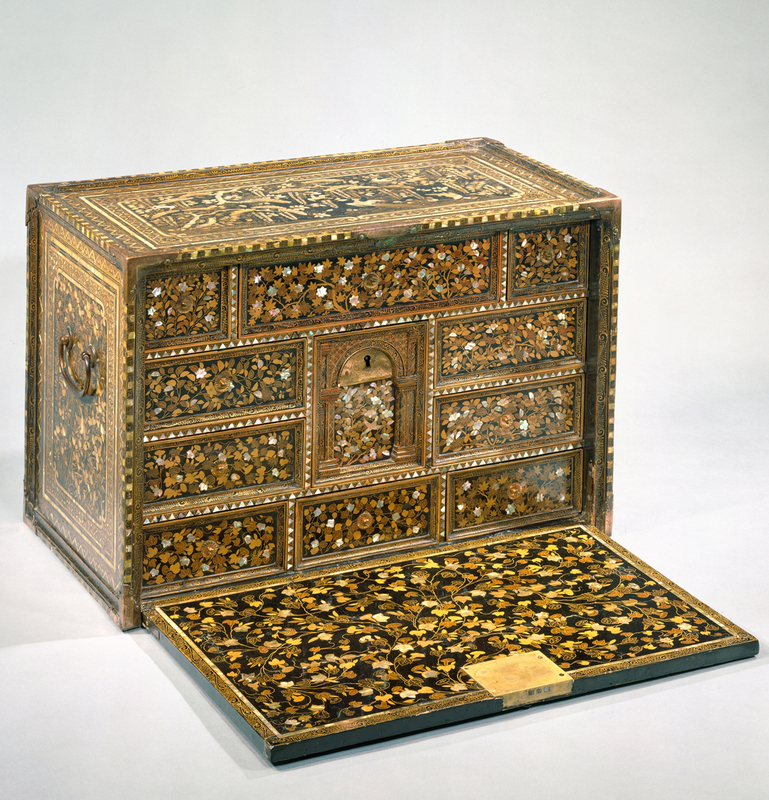 Japanese artist, lectern, 1580-1620, wood, lacquer, gold & shell, 133/4 x 123/16 ins, 35 x 31 cm, Peabody Essex Museum, MA. E76703 , Museum purchase, 1989. © Peabody Essex Museum, Salem, MA. Photography by Mark Sexton & Jeffrey R. Dykes. In 1542 the Portuguese arrived in Japan – the first time that Europeans had set foot on the island. 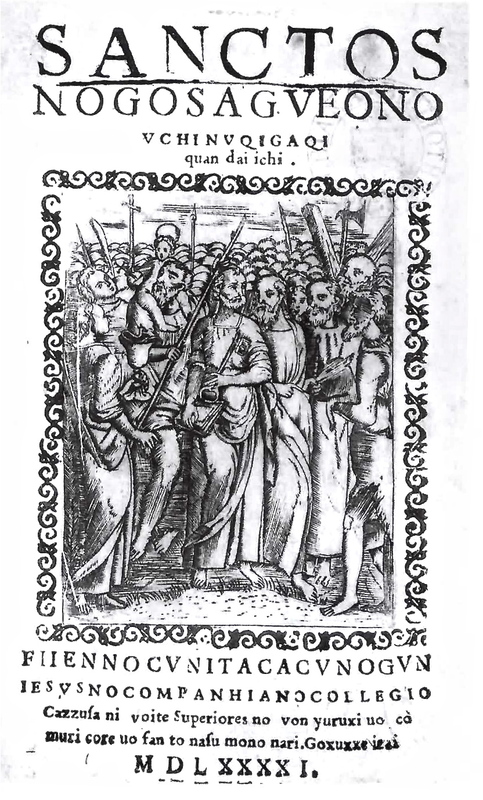 At that time trade was closely related to evangelization, and Franciscans, Dominicans, Augustinians and Jesuits competed to expand their influence in Japan. The first three religious orders had a very orthodox approach to evangelization, and aimed at imposing their own values; Jesuits, on the contrary, tried to adapt to local values and customs, in this way gaining acceptance amongst both the Japanese aristocracy and the populace. 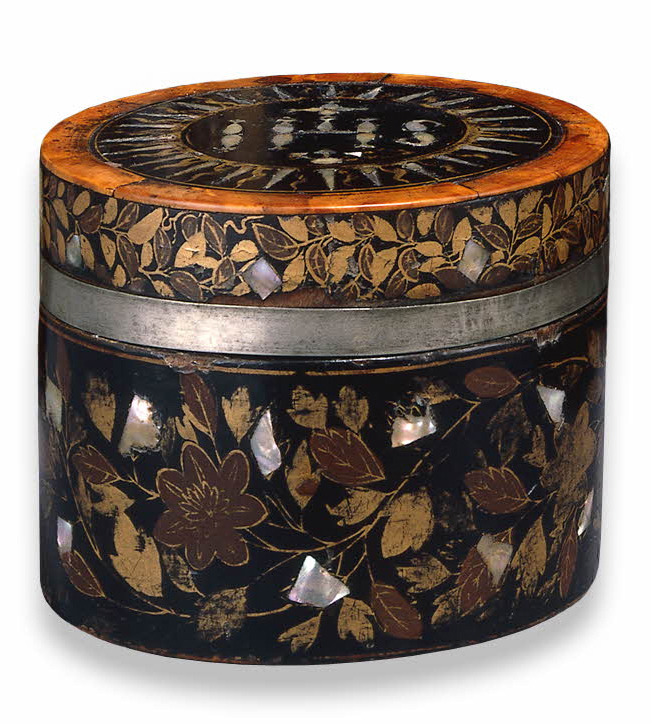 Lacquer, wood, gold, shell, canvas, pigment Nagasaki, Japan; with doors open: 17 7/8 x 12 5/8 x 1 7/8 ins, 45.4 x 64.77 x 4.76 cm., Peabody Essex Museum, MA, Museum purchase, 2000. © 2014 Peabody Essex Museum, Salem, MA. Photography by Walter Silver. School of Giovanni Niccolò (Japanese), portable shrine, ca. 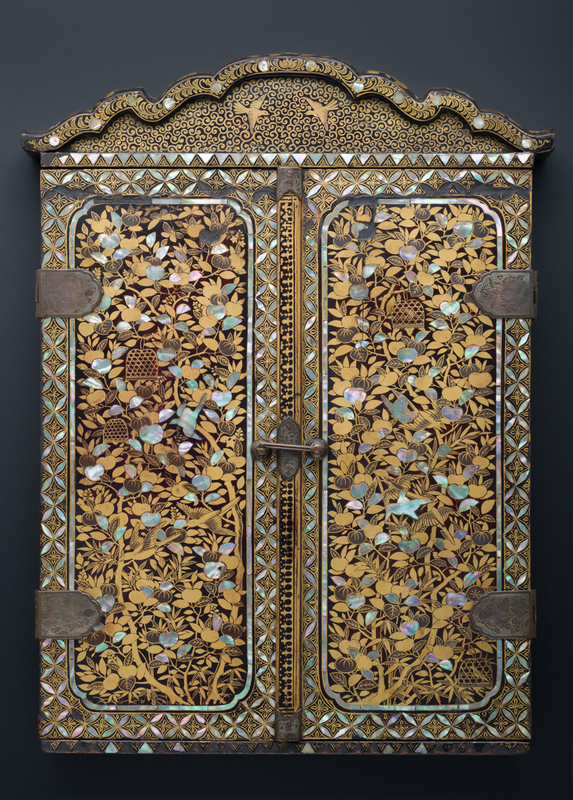 1597, lacquer, wood, gold, shell, canvas, pigment, Nagasaki, Japan; doors closed. © 2014 Peabody Essex Museum, Salem, MA. Photography by Walter Silver. In 1549 the Spaniard St Francis Xavier, a close collaborator of Ignatius of Loyola, founder of the Jesuit Order, travelled to Japan under the patronage of the Portuguese Crown to begin his mission of evangelization. Portuguese, Flemish and Italian missionaries followed him, creating a series of missions in the south of Japan, and founding academies devoted to the teaching of Catholic values by means of painting, music and chanting. 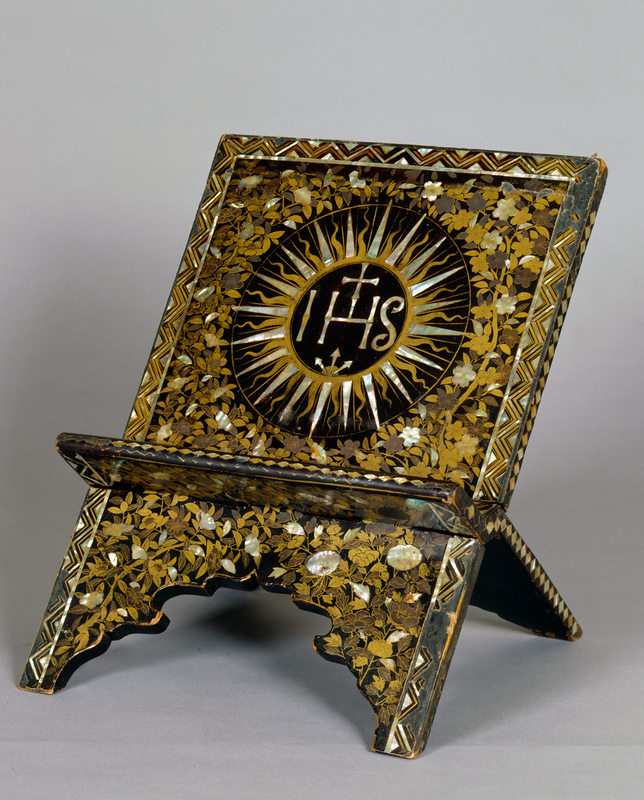 The manufacture of religious and secular furnishings by local craftsmen was commissioned by the Jesuits for their own use in Japan, for trade with Portuguese merchants and for diplomatic gifts to both Japanese and European elites. Furniture created in Japan by Japanese converts in and around Jesuit missions is called Nanban, a term which in Japanese literally means ‘barbarians of the south’ (Christian missionaries arrived from the south in Japanese cities such as Kyoto, Nagasaki, Osaka, &c). It is unclear when the production of Nanban furniture began, but it must have been sometime during the last quarter of the 16th century, ending abruptly in 1639 when all foreigners were expelled from the country . Nanban art developed during the Japanese Momoyama and early Edo periods. Whilst most pieces in Japan were destroyed during the expulsion, rare surviving objects remain in Portugal, Spain, Austria, Mexico and Japan, gathered in royal collections, churches and museums. Nanban art combines features characteristic of Iberian, Japanese, Indian  and Islamic art; however, far from being a mere pastiche it has a distinct and characteristic identity which sets it apart. It can be considered as the first and truly international style of art. 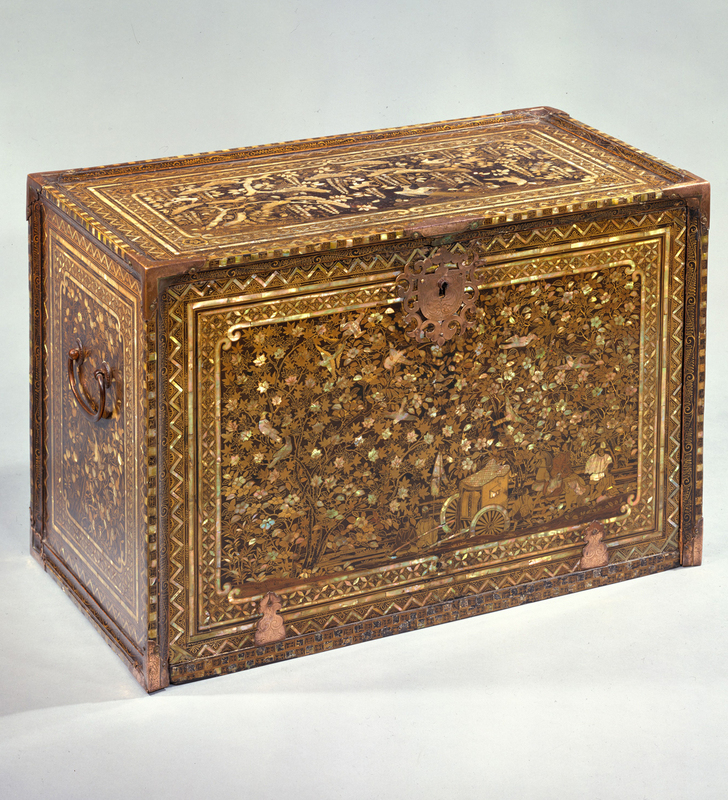 Structurally, Nanban art followed the contemporary European style as imported into Japan, which was dominated by Spanish Baroque models: trunks, domed coffers, vargueños (an Iberian type of portable writing cabinet), folding screens, caskets, lecterns, crucifixes, tables, shrines, frames and other utilitarian objects. But if the structures and shapes were European, the decoration was definitely Japanese; it consisted in mostly black urushi lacquer with gilded decoration of an horror vacui extravagance, shell inlays and gilt copper hardware, all applied using a wide variety of techniques. Lacquer is often confused with resin-based varnishes, although it is actually sap, a natural polymer that comes from the tree Rhus verniciflua. Lacquer doesn’t just dry, it polymerizes and hardens when it reaches a certain temperature and relative humidity level. The shiny and translucent surface only appears after a long and painstaking process, which consists in the application of dozens of layers of lacquer to gain the desired effect. Once polymerized, lacquer has a hard finish similar to plastic, with an extraordinary shine, durability and resistance to hot or cold liquids, which, combined with its lavish decoration, made it an expensive commodity perfectly suited to the trade in luxury articles. Ancient lacquer had a very limited colour palette, because of chemical incompatibility with certain pigments. Black, brown, ochre, red, gold and silver powders, as well as inlay materials such as mother-o’pearl (raden) or eggshell (makigai-hô) were often used. From a technical point of view Nanban lacquer was lower in quality, compared with the lacquerware made for local Japanese clients. Nanban lacquerware items have neither as many finishing layers nor the important preparatory work designed to combat the passage of time; however, these losses were compensated for by the abundant and lavish degree of decoration. 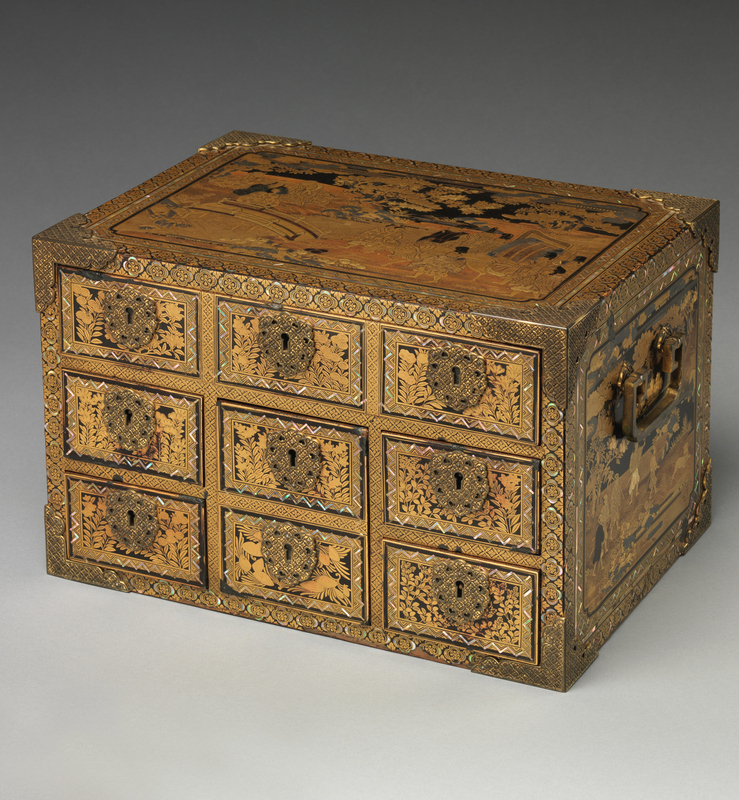 Because lacquer was unknown in Europe at the time, both craftsmen and merchants must have guessed that concentrating on the shiny finishing layers would suffice to entice European buyers. In any case, nothing in 16th century Europe could match the impressive qualities and durability of lacquer – this has proved to be true, given that some exceptional examples remain in good condition almost five hundred years later. 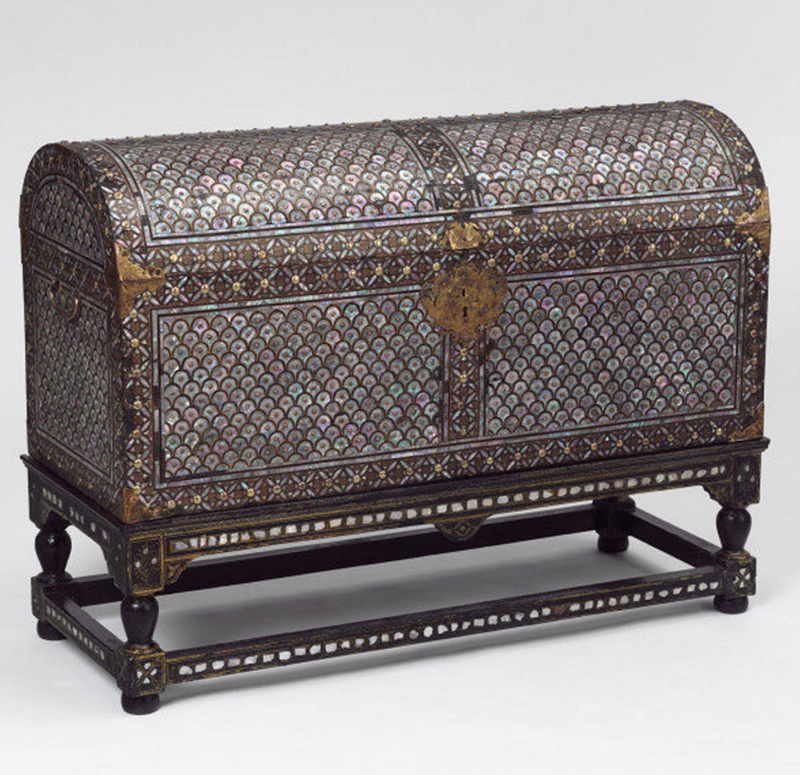 Nanban artefacts became a grand luxe staple amongst Habsburg royalty in particular. They arrived in Europe through the port of Lisbon and from there passed to the king of Portugal and his court, and to the king of Spain, who would use them as diplomatic gifts to other Habsburg rulers. 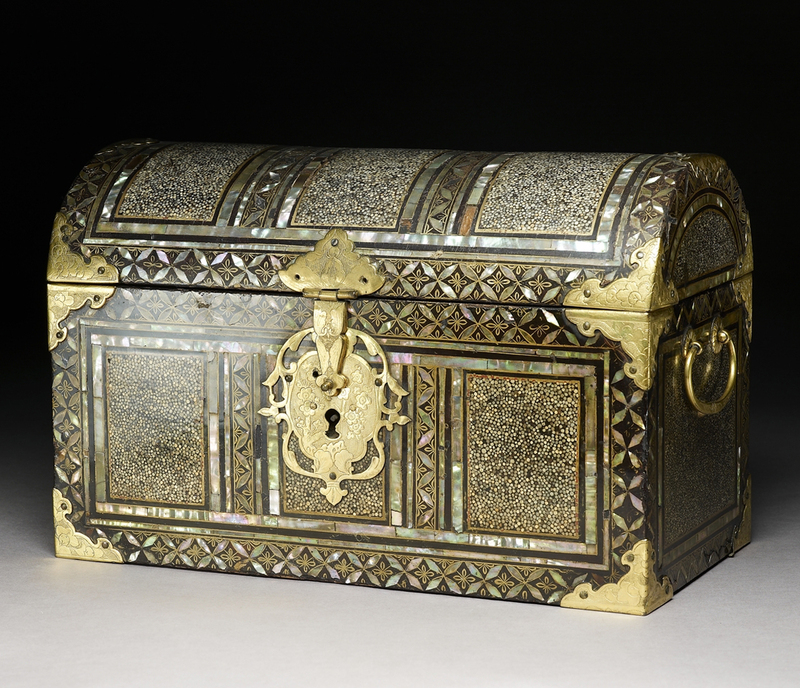 Other pieces were given to churches and monasteries, where they were used as reliquaries. Once the Spanish had established a second route back to Spain through Mexico, the flow of Nanban objects increased, arriving directly in Spain through the port of Seville, although some extraordinary pieces remained in New Spain (Mexico). They stand witness to the flourishing trade in these items, and contributed in important ways to the development of Spanish Colonial art. This extraordinary Nanban shrine (or seigan), dated c.1591-1600, may recall other altarpieces comprising a predella, pediment and a pair of lacquered folding doors, similar to Flemish triptychs. However, its construction, proportions and scale also suggest that it was originally conceived straightforwardly as a picture frame. Its structure is certainly that of frame, composed of four carved pieces of timber, with nothing more on the reverse than the holes left by nails on its upper centre, indicating the position of the hanging device. The painting is directly visible to the viewer, both front and back, unlike other retables with undecorated wooden shutters which give a cupboard-like appearance to the whole (see shrine with shutters, above); its sides are as lavishly decorated as the front façade. Nail and pressure marks along its sides may suggest the presence of doors. However, the nails must have been very small compared with those commonly used in folding altarpieces. This may indicate that doors could have been added at later date and in a different style, only to be removed again even later, thus returning the frame and painting to their original state. The frame is a cassetta of simple design, with a slightly cushioned frieze; it measures 46.4 x 57.3 centimeters (18 ¼ x 22 ½ inches). The frame rail is 5cm (or 2 ins) wide and 3.4 cm (1 3/8 inches) deep. An unidentified exotic wood was used for its construction. It is mitred in front, and probably half-lapped at the back: a fairly usual method of joinery in Spain and Portugal at the time . 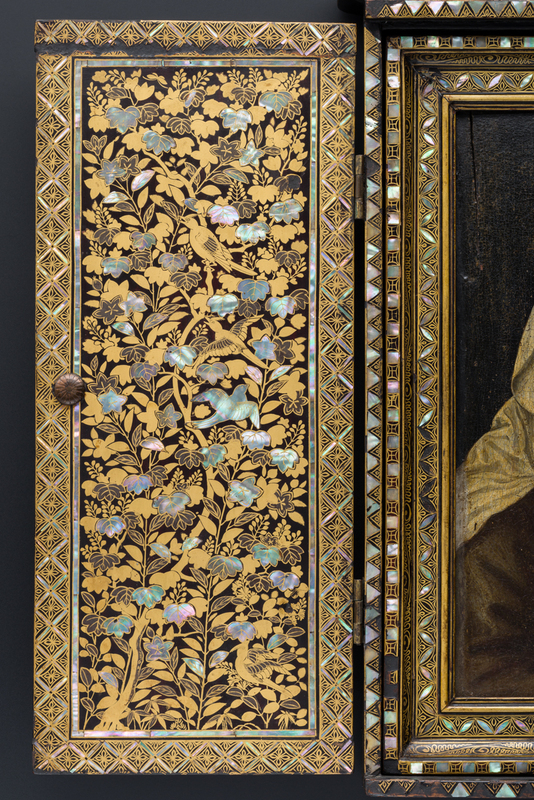 The lavish decoration occupies the entire surface of the frame: front, sides and back, with the same attention to detail given to the front and sides – the back is only decorated with black lacquer. Several chips scattered over its surface reveal that the frame was covered entirely with fabric prior to its being lacquered. This elaborate sealing technique is unusual on Nanban furniture, and suggests an early date of manufacture; in later pieces the artists abandoned that practice, to speed up the production process. 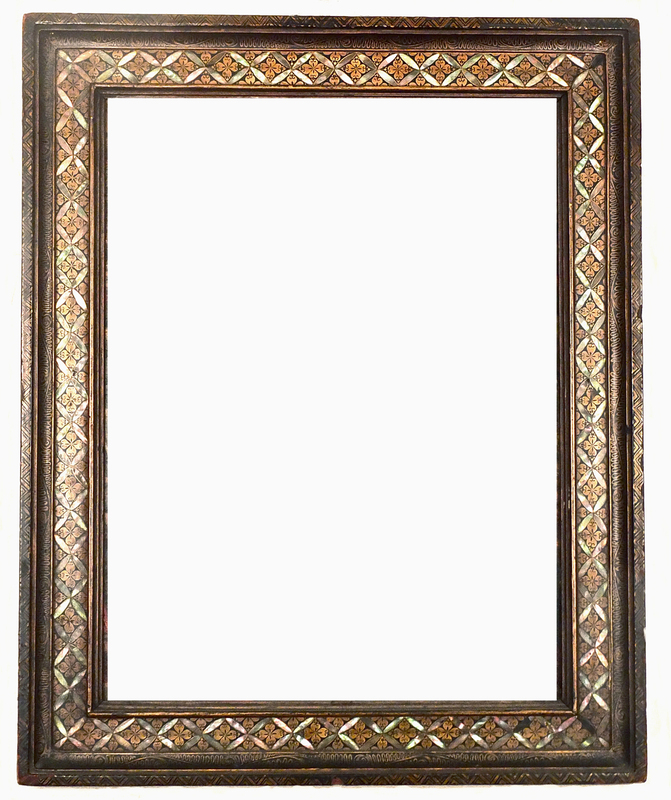 The back of the frame is flat, covered with plain black urushi lacquer. The top, base and sides are also flat, but are decorated with gold lacquer tendrils (in the hiramaki technique), and branches of ginkgo leaves, fruit and flowers applied with different techniques. Some of them are inlaid with mother-o’pearl (raden), other are lacquered in gold (hiramaki), and others again have their contours outlined in black over a gilt ground (abisemaki). A few leaves have their surface sprinkled with gold dust over a reddish-brown lacquer background (nashiji-urushi). The left and right sides have an additional decoration of wisteria flowers (huzi) in gold lacquer (hiramaki ). 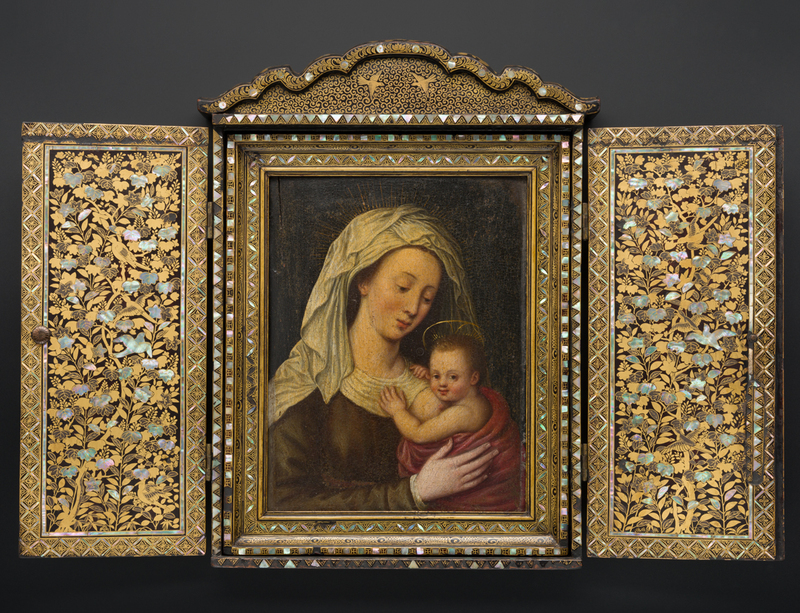 Such careful attention applied to secondary areas of the frame reveal the importance given to these objects, and contributes further to the idea that this particular example was originally conceived as a simple picture frame, rather than a folding altarpiece. 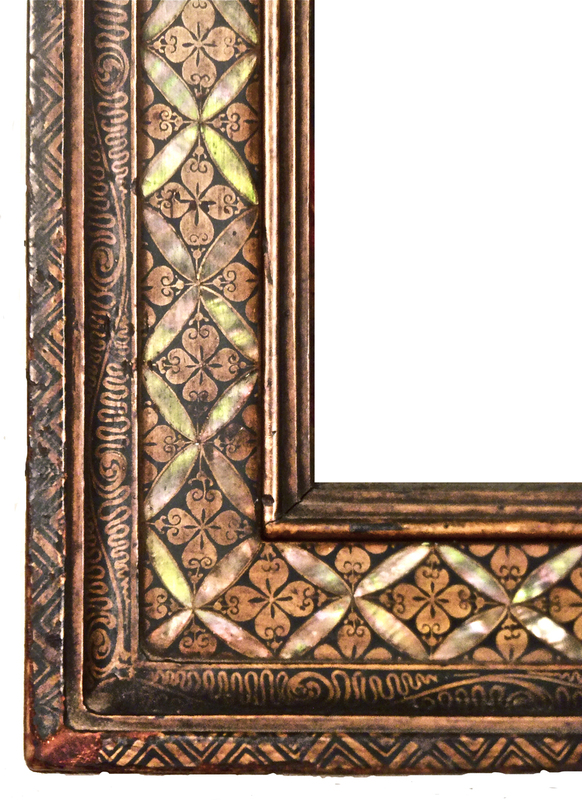 The face of the frame is covered with extensive ornamentation: on the top edge, a taenia or fillet moulding coated with a black urushi lacquer ground, with a running zig-zag executed in gold lacquer (hiramaki): this is characteristic of Nanban furniture decoration, appearing in many pieces, no matter what their function or design. Curiously, its origins appear to be Islamic. Spanish artefacts in Mudejar Style were often decorated with this motif, which reappears on items imported by the Portuguese in Gujarat and Goa, on India’s north-west coast; such precious objects, manufactured for Europeans, may have reached Japan and influenced native craftsmen. Next is a step moulding in gold lacquer (hiramaki); then a cavetto with a black ground (roiro), ornamented with stylized leaves inspired by European models, and executed in gold lacquer (hiramaki). The frieze is the most important area and the most opulently decorated. It has a slight cushion or shallow convex profile, and is covered with a shippo design: a geometric pattern which is Buddhist in origin, and is also known as the Buddhist Sparkle. This consists of four mother-of’pearl ellipses which usually unite to form a circle, but in this frame make another ellipse. The space inside is decorated with an exquisitely-designed four-petalled rosette, not found in any other Nanban pieces. The mother-o’pearl inlays (raden) here were applied using a different technique from that on the sides: once the lacquer had been applied, the craftsman carved a recess into the lacquer surface, and glued in a thin piece of shell cut to the desired shape, rather in the manner of wooden marquetry. The rosettes may be related to the subject matter of the painting, since – as Bailey suggests with other shrines  – some motifs may have been chosen for their symbolic meaning. The Virgin Mary is also known as the Mystical Rose, and a rose is traditionally her attribute in Renaissance art, so this flower is particularly appropriate. On the other hand, shippo designs are traditionally associated with the seven virtues leading to enlightenment – a symbolic association which does not seem too adventurous, considering that it can also be observed in other examples of South American sacred art. The Virgin Mary, for instance, is often represented in an oversized robe which gives her the appearance of a mountain, connecting the Christian religion with Inca mythology and ancient Indian deities in order to ease the process of evangelization amongst the local population. 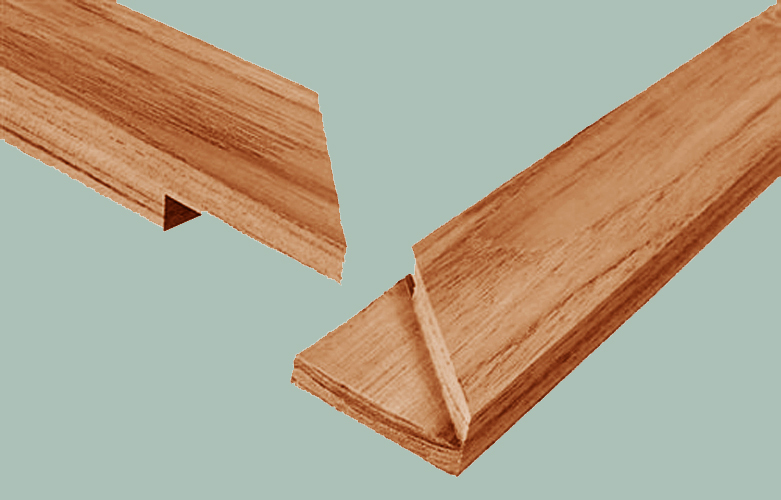 The sight edge is composed of three mouldings: an astragal and two steps. All three are executed in gold lacquer (hiramaki), although it has almost completely worn off. Whilst the frame is stylistically consistent with a date of manufacture at the end of the 16th century, pigment testing of the painting has not found any colours used exclusively in Japan. Azurite, white lead, vermilion, copper resinate and others were in use in Japan (but also in Europe and New Spain) during the 16th and 17th centuries. Testing on the metal support of the painting revealed copper as well as zinc as major components, suggesting that it might be made of brass instead of copper alone. Further study and comparative testing with other surviving examples may shed new light on Nanban studies. Copper plates were more common in other parts of the world, such as Europe and New Spain, although this does not exclude a Japanese origin. There is much debate concerning the provenance of these paintings. Some scholars believe that they were mass-produced in the Netherlands, and exported thence to Spain and its colonies. Others think that they were manufactured in India and shipped to Japan, while still others believe that they were created in Japan. In my opinion they were created by members of the Jesuit Order, bringing together features of their national school of painting with other influences. 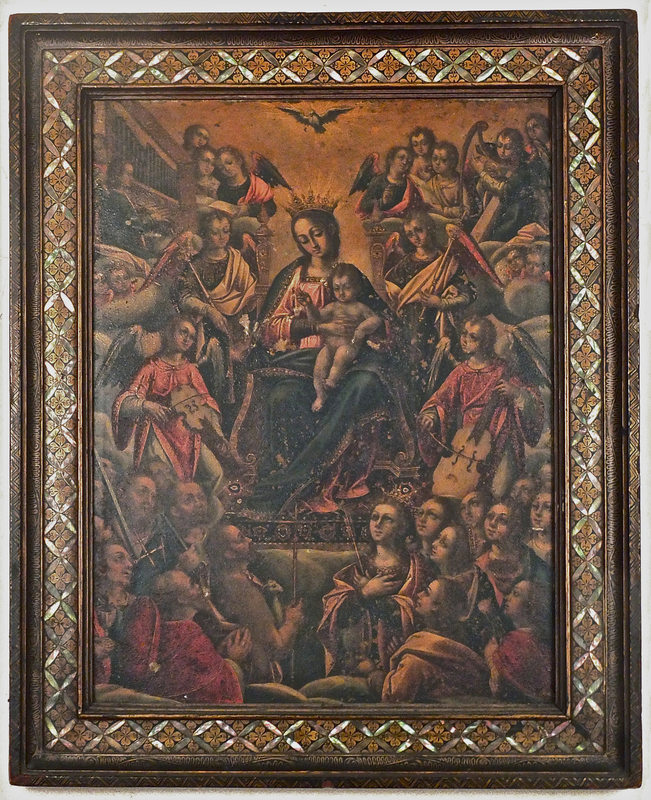 The painting itself (36.4 x 46.4 cms, or 143/8 x 18¼ ins) was executed in oil, and is attributed to the circle of Brother Giovanni Niccoló, a Neapolitan painter who reached Nagasaki in 1583. The scene represents a Gloria, an unusual depiction of a crowned and enthroned Virgin and Child, which is consistent with Niccoló’s inventive style. The composition is organized in a triangular form, with the saints at the bottom, the Virgin and Child at the centre, surrounded by angels, and culminating at the top in the Holy Spirit. The presence of musical instruments, such as a viola da gamba, a violin, a harp and an organ, are all consistent with descriptions of instruments taught at Jesuit missions, reaffirming the relationship between frame, painting and the Jesuit Order. Despite its apparently European appearance, some elements may suggest a Japanese authorship: the clouds beneath the Virgin and saints, for instance; whilst the angels and putti on the mid- and upper section are treated in a Japanese way: very flat with almost no volume, as in a Japanese landscape painting. Also most of the figures’ eyes are made, strikingly, too round, as though the artist were not accustomed to depict the different facial expressions of Caucasian subjects. 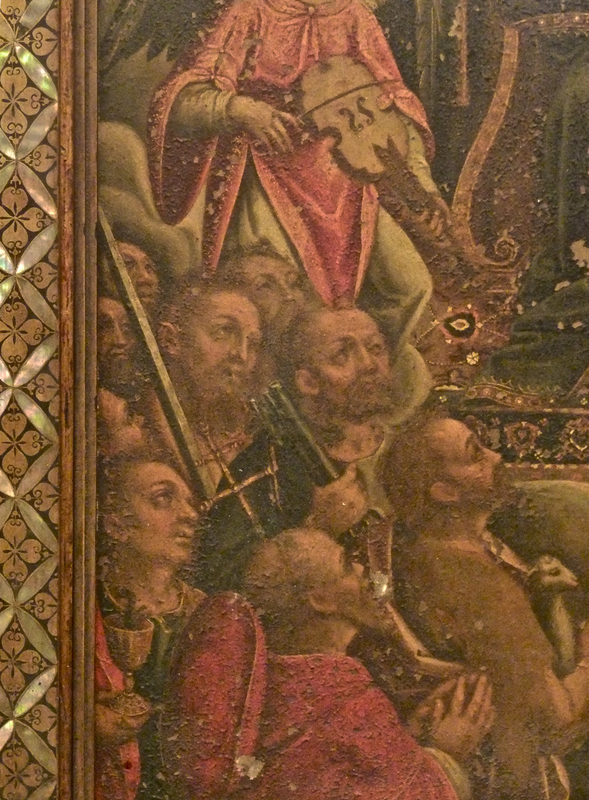 Similarly, the figure of St Peter holding the keys of Heaven, as well as St John, both in the lower left corner of the painting, are closely related to figures in the frontispiece of Sanctos Nogosagueo no Uchi Nuquigaqi, a treatise on the lives and works of the saints, published by the Jesuits in 1591 in Katsusa, Japan. Additionally, the patterned rugs which appear in European paintings of the same era are almost all of Turkish origin, while the rug beneath the Virgin’s throne in this painting is Persian in design, more precisely from Isfahan, and is consistent with the date of the whole work. Such rugs were traded on the north-west coast of India, where the Portuguese established their trading posts. All these small details further reinforce the idea that the painting was also created in Japan. Although there is still much debate about Nanban paintings, this particular work is a unique example, still surviving together with its original frame. In spite of the clashes between nations and beliefs this piece stands witness to the delicate moment when the cultures of the East and the West discovered each other, resulting in the creation of ineffable beauty. Philippe Avila is a conservator and art historian who has worked for leading antique dealers, museums and private collectors, including the Hispanic Society of America, l’Antiquaire, The Connoisseur, Robert Simon Fine Arts, Lowy, Throckmorton Fine Arts, Julian Schnabel, the Rockefeller family. 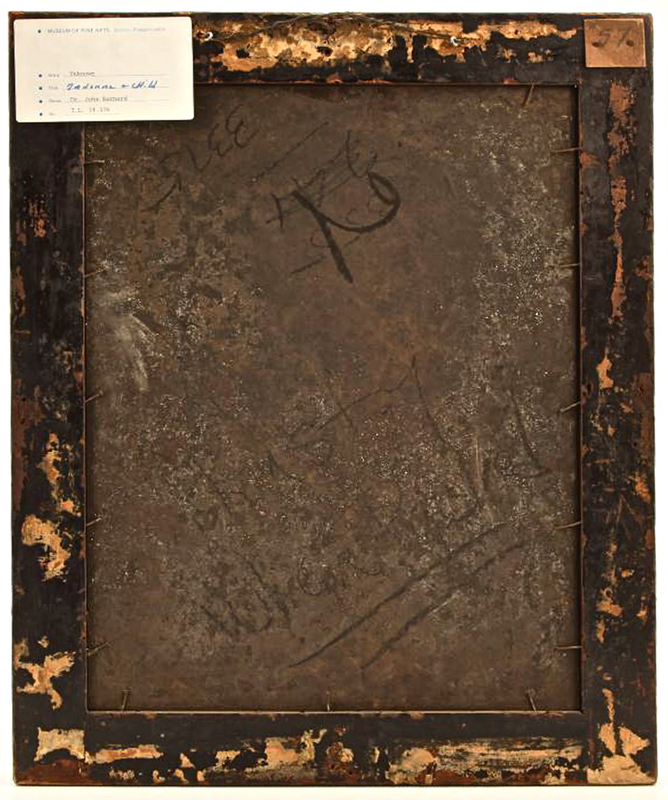 He specializes in the study of European picture frames, and the history of gilding techniques and aesthetics. He has lectured at the Brooklyn Museum, the Hispanic Society of America, New York University, the Smithsonian, and the Museum of Decorative Arts, Barcelona; his work has been published in The magazine ANTIQUES, Picture framing magazine, and The journal of studies in decorative arts. He is based in New York. Abisemaki is a technique which consists in lacquering the entire surface of a leaf or a flower petal and scattering the surface with gold filings. Once this is done, the artist outlines the contour in black lacquer, either in very low relief or as a very slightly incised line. Benigara urushi is raw lacquer mixed with iron oxide, resulting in a reddish-brown lacquer. Fundame is a very finely-ground gold powder, densely sprinkled on top of a wet lacquer surface, resulting in a matte finish. Hiramaki is the practice of sprinkling metallic powders such as gold, silver or bronze over a freshly-applied lacquer surface in very low relief. The surface is then coated with clear lacquer in a way that makes it barely noticeable. Kimpun are gold flakes sprinkled onto a lacquer surface. Makie is a general term applied to Japanese lacquer. Makigai-hô is a technique consisting in the sprinkling of crushed eggshell over a black lacquer background. Nashiji is a technique similar to hiramaki, which involves sprinkling flakes of gold of different sizes and shapes over a layer of fresh lacquer. Once the layer is dry it is covered with additional layers of clear lacquer and polished to high shine. Raden is the technique of inlaying shells into coloured lacquer. Roiro consists of brushed black lacquer covered with an additional coating of clear transparent lacquer polished to a high shine. Urushi is the application with a brush of lacquer which has been mixed with pigments. The Dutch were allowed to stay because they did not proselytize, but were confined to the island of Dejima in the Bay of Nagasaki. The north-west part of India or Gujarat and the southern Goanese territories were both Islamic. Gauvin Alexander Bailey, The Art of the Jesuit Missions in South America and Asia. Especial thanks are due to the Peabody Essex Museum for supplying such good images at short notice. School of Giovanni Niccolò, (Japanese) portable shrine, c. 1597, lacquer, wood, gold, shell, canvas, pigment, Nagasaki, Japan: inside of shutter; Peabody Essex Museum, Museum Purchase, 2000, AE85752; © 2014 Peabody Essex Museum, Salem, MA. Photography by Walter Silver.